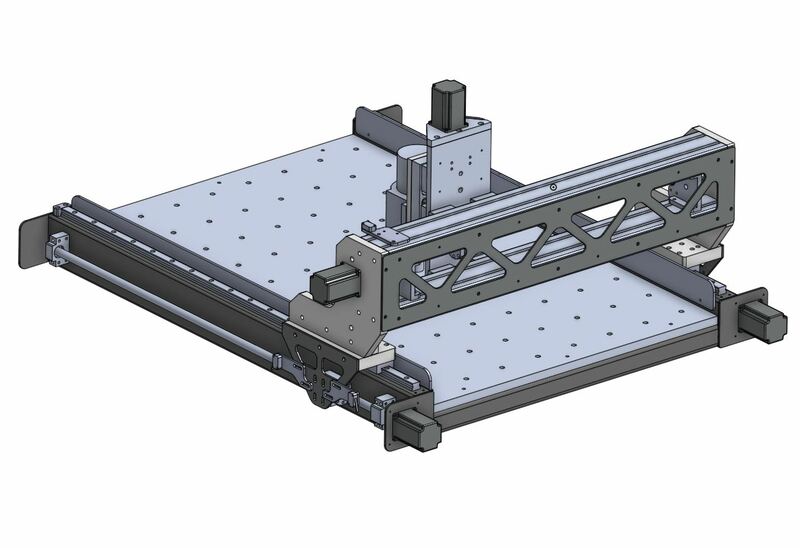 This is the first post in a series documenting the design and build of a CNC Router. After completing the build of my first CNC router (Openbuilds OX), I wasn’t entirely happy with the performance of the machine. I decided to have a go at designing a custom machine which would better suit my expectations. After several weeks of design and analysis I came to the final design which you can see in the images above. The machine will primarily be used for cutting sheet stock; wood and aluminium. All three axis of the machine will be ballscrew driven, dual drives on the gantry (Y axis) and single drives on the X and Z. The working envelope will be approximately 850mm x 600 mm x 140 mm. Hey. Could you please send your project to me by e-mail? You got an excellent cnc machine! Hi Alexander, the model is available for free download via the link on my “Final Assembly” post.